Ten years ago a group of dedicated individuals came together to address the apparent need for improved care of the island’s senior citizens. 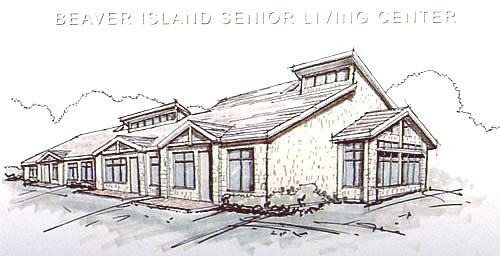 Today the Beaver Island Community Development Corporation is moving forward towards the goal of providing a housing project for low to moderate income seniors with basic independent living capabilities. This group has grown and met many challenges along the way. Today the vision is closer then ever to becoming a reality. In 1997 Pete, Joe Letoff, B.J. Wyckoff, and the late Lorine Adams got together to begin planning a facility for senior citizens. From there the Beaver Island Housing Committee was formed. Joyce Runburg and Nina Simpson-Jones joined the team at this point. This group of local citizens was dedicated to ensuring the quality of life, promoting independent living, and creating opportunities for seniors to remain in their communities, thus allowing island residents to care for their aging relatives in an appropriate and accessible housing project. To initiate the project, a Supportive Housing Market Study and Action Plan were completed. Hobbs and Black were selected to design and implement action plan objectives. The study indicated that the majority of residents favored senior housing and the action plan was proving successful with the completion of a set of workable plans. The proposed supportive housing project includes construction of six units in the initial phase and additional units to be added as community needs warrant expansion. The housing complex will include 4 one-bedroom and 2 two-bedroom apartments with approximately 600 and 700 square feet respectively. 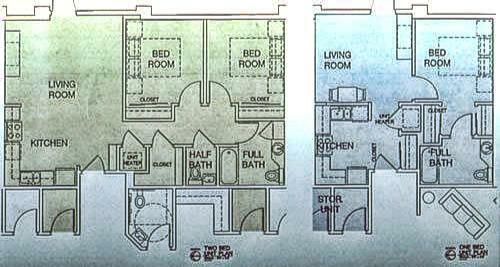 Each unit will include a private handicap accessible bathroom, living room, and kitchenette with small appliances. All units will be equipped with medical emergency alarm system. The units will share a communal kitchen and common dining area which will also serve an activity center. A screened and weatherized porch is also planned. The project will be constructed on 2.0 acres donated by the Gills and the Traudt families located in St. James Township. The project is on the same site as the medical center allowing easy access and the coordination of services. Today the group is called the Beaver Island Community Development Corporation and they are moving forward with The Beaver Island Supportive Housing Project after a major success in securing a loan for $582,000.00 from the United States Department of Agriculture for rural development. The loan will be repaid from rental fees. For the first three years of operation a site management company will be hired to determine eligibility of each of the rental units. At this point $125,000.00-150,000.00 needs to be raised to break ground. This amount is needed for fire suppression equipment and geo-thermal heating system. Many other resources such as grants, benefits, and private contributions have all added to the magic number needed. Nina’s Restaurant raised $10,000 this year at the annual benefit dinner. There is no doubt that it has been a long and difficult road for this project. It is very close to the goal but not there yet. Visit their website www.beaverislandcdc.org for current and new information.